A picture has emerged on social media which claims to show a new military drone China is building. 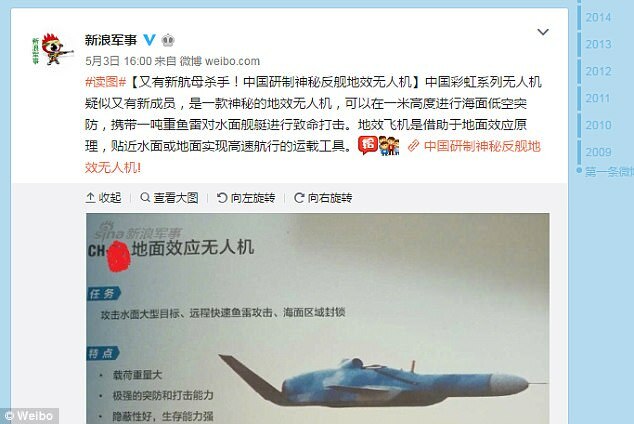 The unnamed aircraft, said to be a torpedo bomber, is able to skim the surface of the sea and carry out ‘lethal attacks’ on warships, said a post on Weibo, the Chinese equivalent to Twitter. In addition, the alleged drone would be able to avoid radar detection as it could fly at an extremely low altitude above the waters, according to Chinese news website Sina. 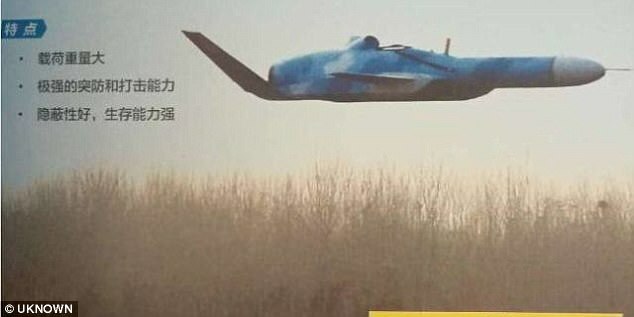 The picture, thought to be of China’s new military drone, was first posted by a Chinese internet user on Weibo on May 3. 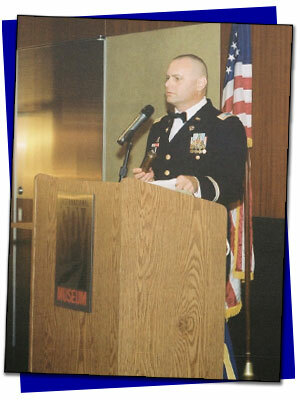 The picture appeared to be a part of a brochure. The brochure claimed that the featured drone could attack large waterborne targets and carry out quick, long-distance strikes with air-dropped torpedoes. The post was quickly picked up by news outlet Sina, which published a report on the aircraft on the same day. According to the report, the alleged drone could carry up to one tonne of aerial torpedoes, and could strike and defend at altitudes as low as one metre (3.2 feet) above the sea. 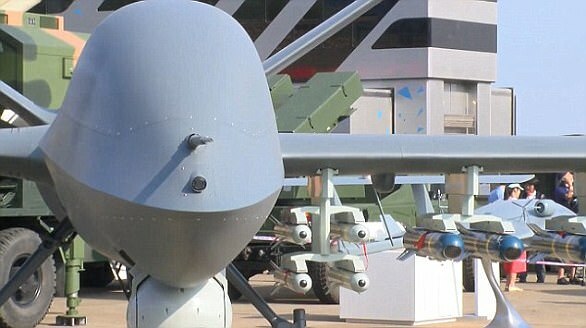 It is also said to be the latest member of China’s military drone series, known as Rainbow or CH. The CH series is developed by China Academy of Aerospace Aerodynamics. The state-owned academy has reportedly developed nine models of military drones since year 2000. Last year, the academy unveiled CH-5, which is said to be China’s most powerful drone bomber yet. The CH-5 unmanned aerial vehicle made its first flight in 2015, according to earlier reports. It debuted to the public at a military air show in the southern city of Zhuhai. According to official stats, released by Huanqiu.com, CH-5 is a long-range unnamed aircraft. Its wing span is 21 metres (68.8 feet) and its maximum take-off weight is 3.3 tonnes. It can fly up to 40 hours without refuelling with a maximum range of 6,500km (4,038 miles).